The wait is finally over: Wanderer is out today! 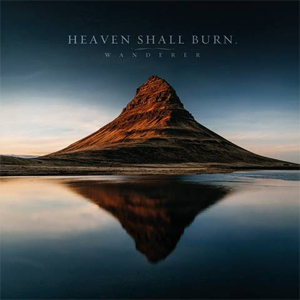 In order to celebrate the release day of Wanderer, HEAVEN SHALL BURN just launched a cinematic video for "Passage Of The Crane" that was directed by Michael Winkler for Iconographic. You can watch the video on KNAC.COM right HERE. The Ltd. 2CD Mediabook and Ltd. 2CD Digipak (North America only) both come with a 60 page booklet. For the Too Good To Steal From Bonus CD the band compiled all cover versions they ever recorded since the band started their co-operation with Century Media Records in 2003. The luxurious coffee-table Artbook comes with a 60 page booklet as well as the Too Good To Steal From CD. On top fans get an alternative mix, entitled Dark Purity Mix, of all original songs done by Eike Freese at Chameleon Studios, Hamburg. HEAVEN SHALL BURN kicked off their intimate club tour (which was sold out in 24 hours), in Jena yesterday. All dates below. HEAVEN SHALL BURN "Wanderer Club Tour"
09.16.16 (DE) Berlin - Kesselhaus der Kulturbrennerei (Metal Hammer Awards 2016) - sold out!